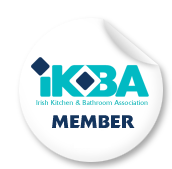 IKBA members Mooney’s Kitchens will be at stand M46 at the Ideal Home Show in Dublin this weekend. Aga fans should note that the first AGA Masterchef 1100 in Ireland will be at the Mooneys Kitchen stand. If you would like free tickets to the show please email info@mooneys.ie or telephone 041 6854290 quoting the IKBA website. Siobhan von Engelbrechten of the IKBA will also be at the show on Saturday helping out Declan Hogan from the Perfect Kitchen in the Seminar Area from 11:00am so drop by and say Hello.